In 2007, a severe financial crisis broke out in the United States, which fully exposed the defects of the financial development model and regulatory system in Europe and the United States, and triggered profound thinking on the concept, structure, scope and self-rescue of financial regulation in various countries. After the outbreak of the crisis, the Basel committee summed up the experience and lessons and adopted the Basel III agreement in September 2010. Compared with Basel II, Basel III embodies the new concept of financial supervision, establishes a new model of combining micro-prudential and macro-prudential financial supervision, substantially improves the regulatory capital requirements of commercial Banks, and establishes a globally consistent quantitative standard of liquidity supervision. The minimum tier 1 capital ratio will be raised from 4 percent to 6 percent, and the minimum core capital adequacy ratio will be raised from 2 percent to 4.5 percent. For the first time, a capital retention buffer of 2.5 percent will be required, and Banks will have a minimum core capital ratio of 7 percent and a minimum tier 1 capital ratio of 8.5 percent by 2019. The counter-cyclical excess buffer is between 0% and 2.5% of total risk-weighted assets. Third, liquidity coverage and net stable capital ratio requirements are proposed. Banks are required to operate in harsh conditions for at least a month. Fourth, the introduction of leverage ratio regulation as a supplement to the regulation of capital adequacy ratio, and set the index at 3%. In addition, the concept of "systemically important bank" was proposed for the first time. In 2011, the China banking regulatory commission issued the guideline on the implementation of new regulatory standards for China's banking sector, which established the policy framework for the implementation of new regulatory standards for China's Banks. The implementation of the new regulatory policy puts forward higher requirements for China's commercial Banks. In terms of capital demand, the new regulatory agreement requires the establishment of excess capital to reduce the losses caused by economic recession and systemic crisis. 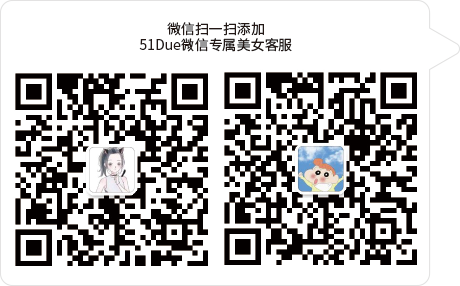 In terms of capital supply, the new regulatory policy has adjusted the definition of qualified capital, emphasized the quality of capital and tightened the capital deduction. In terms of capital supplement, Banks realize self-accumulation of capital through internal retained earnings, while capital supplement through capital market will be restricted by shareholders. Capital has become an important factor restraining the expansion of bank scale, thus forcing Banks to change the traditional extensive business model that emphasizes investment and ignores benefits. In addition, the new regulatory policy also introduces leverage ratio as a new regulatory tool and controls the excessive expansion of Banks' off-balance sheet scale. At the same time, the spread based profit model cannot be applied in the long run, because the new regulation will restrain Banks from shifting their balance sheet assets off balance sheet, and the loan-to-loan ratio will require Banks to increase loan reserves, eating into bank profits. The new regulatory policy elevates liquidity regulation to the same important position as capital adequacy regulation. Liquidity monitoring indicators will guide Banks to re-examine their current balance sheet structure, forcing Banks to find a balance between profitability and liquidity. Especially after the rapid increase of medium and long term loans, the problem of maturity mismatch of assets and liabilities has been exposed. How to rationally arrange the use and source of funds, comprehensively balance the term, pricing and financing mode under the new market environment has become a new subject of bank asset and liability management. 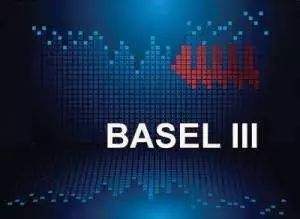 Basel III covers risks from the traditional three risks to liquidity risk, reputation risk and information technology risk, etc., reflecting the concept of comprehensive risk regulation. In terms of organizational structure, commercial Banks should continuously optimize the overall risk governance structure, give full play to the guiding role of the board of directors, and promote the overall planning and coordination functions of the risk management committee and the audit committee. Establish a unified quantification and transmission system of risk preference, sort out risk management policy process, and unify basic definitions, measurement tools and methods. There are differences between Basel III and current accounting standards in the calculation of secondary capital provision, regulatory capital deduction, fair impairment measurement and other aspects. In the face of these differences, while the financial competent departments and regulatory departments are actively coordinating, commercial Banks should also strengthen the research on the differences between accounting standards and regulatory standards, improve professional judgment, reasonably confirm and measure accounting, and issue supporting and enforceable operating standards. As can be seen from the regulatory reform trend of Basel III, multi-indicator regulation is an inevitable trend. Data sources and IT systems that support the accurate calculation of regulatory indicators will become the necessary management conditions for commercial Banks to meet regulatory requirements. Therefore, commercial Banks should further strengthen the data foundation, establish complete, standardized and consistent data standards and corresponding data processing platforms, and ensure the timeliness, accuracy and consistency of data. Develop flexible and efficient risk management system and business system covering the whole group, establish an information platform to support unified management at the group level, meet the needs of internal reform management and external supervision new regulations, and achieve substantial leap in bank operation and management level.